Learning about the Amazon Rainforest? In today’s post we list 10 amazing facts about that you might not have heard of. 1. The rainforest is shared by 9 different countries. Picturing the sheer size of the rainforest can be difficult, particularly as it spans a massive 2,123,561.8 square miles. What’s even more incredible is that the rainforest is shared by nine different countries. These include Brazil, Peru, Colombia, Bolivia, Venezuela, Guyana, Suriname, Ecuador and French Guinea (in order of the largest to the smallest share). 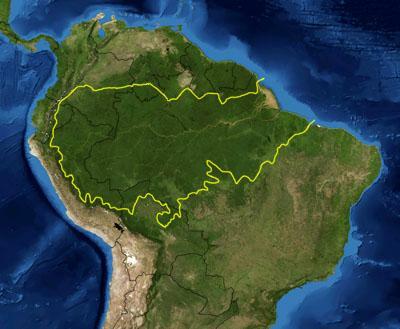 At 64%, Brazil has the lion’s share of the rainforest’s square mile coverage. 2. The direction of the river’s flow has changed through history. You’d typically expect a river to flow in one direction, and one direction only. However, this hasn’t always been the case for the Amazon River, which flows directly through the Amazon Rainforest. Nowadays, the river flows eastwards, dumping water directly into the Atlantic Ocean. However, millions of years ago, before the continents of South America and Africa split, the river flowed westwards. As the Andes mountain range grew taller, it prevented the water from flowing in this direction. 3. The rainforest could disappear in less than half a century. Deforestation has always been a major threat to the Amazon rainforest, as well as other large forested areas throughout the world. 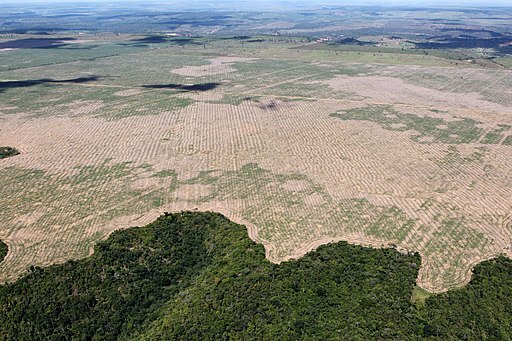 Although the rate of deforestation has been slowed in recent years thanks in part to climate-saving measures, the Amazon continues to disappear at an alarming rate; around 1.5 acres of forest are lost every second. If this rate is sustained, the rainforest will be gone in around 40 years. What’s more, as a direct result of deforestation, some research studies have approximated that we lose around 137 species of plant, animal, and insect every day as a direct result of rainforest destruction. 4. The Amazon’s name comes directly from Greek mythology. Greek mythology tells of a tribe of women called the ‘Amazons,’ who were great warriors and regularly waged wars. It is after this tribe that the rainforest was named. History tells of how Spanish explorer Francisco Orellana was attacked by a female tribe of warriors called ‘Thelcamiabas.’ Directly translated, this means ‘women without husbands.’ His comparison of these women to the mythological Amazons is what earned the rainforest its name. 5. There are many dangerous animals calling the rainforest home. The Amazon rainforest is one of the most hostile places on earth when it comes down to the animals that call the canopy home. Many poisonous reptiles, spiders, snakes and other types of animal exist within the rainforest. These include some of the most poisonous animals on Earth, the Brazilian wandering spider and poison dart frog. 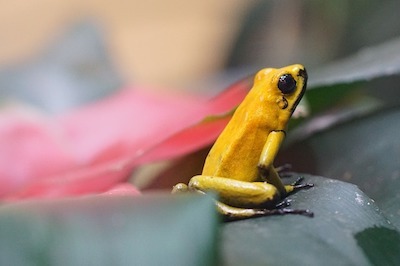 The most poisonous animal in the Amazon Rainforest is the golden poison dart frog. It is said to have enough poison on its skin to kill up to 10 adult humans, and it’s only 1 inch long! Interestingly, captive poison dart frogs aren’t poisonous. Scientists believe they become toxic as a result of their diet, gathering toxins from plants and animals that they eat. Additionally, there are animals that are not poisonous, yet equally dangerous, like jaguars, caiman, electric eel, red-bellied piranha, and green anaconda. 6. The rainforest is home to a vast number of indigenous tribes. Despite the harsh and unforgiving terrain, including many poisonous species of plants and animals, the rainforest is still home to around 1 million indigenous people, spread across approximately 400 varied tribes. Some of these tribes have contact with the developed world, though there are approximately 50 tribes who have developed isolated languages and cultures, and for whom there is no contact with the outside world. One such tribe is the Awá. They are a nomadic tribe who are constantly on the move. They are said to build a home in just hours and then abandon it just days after. 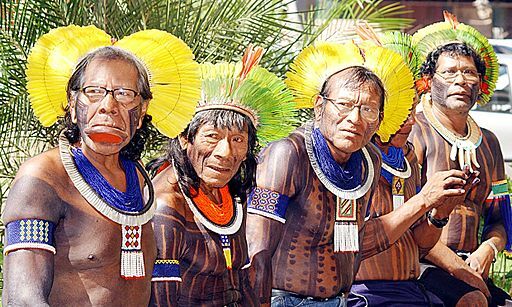 Sadly, these tribes are badly affected by disease and land loss due to deforestation. You can do your bit to help at Survival International. 7. There are likely undiscovered foods growing in the rainforest. Many of the fruits that we purchase from the supermarket grow naturally within the Amazon rainforest, including figs, bananas, mangos, pineapples, oranges, lemons and grapefruit. But, these make up just a few of the several thousand fruits growing here. It’s highly likely that there are other undiscovered fruits growing among the trees that modern man has not yet found. Although Western society only uses approximately 200 of the fruits found within the rainforest, indigenous tribes are thought to consume upwards of 2,000. What’s more, around 80% of the consumable foods that make up our diet are said to have originated from rainforests like the Amazon. For example, there are staples like coffee beans, chocolate from cocoa beans, rice, potatoes and corn. It’s easy to see the importance that this land mass has in our planet’s history. 8. The Amazon is one of the most biodiverse places on Earth. Despite being over 2 million square miles in size, the Amazon rainforest is just one of the Earth’s many tropical rainforests. When you combine all these rainforests together, they cover only around 6% of the Earth’s surface, with this number slowly reducing as a result of deforestation. Despite such low coverage of the planet’s surface, rainforests account for more than half of the species of plants and animals in the world. 9. Many of our modern medicines originate from the Amazon. Although the Amazon is home to so many “undeveloped” tribes, rainforests are the place from which over a quarter of our most modern medicines originated. 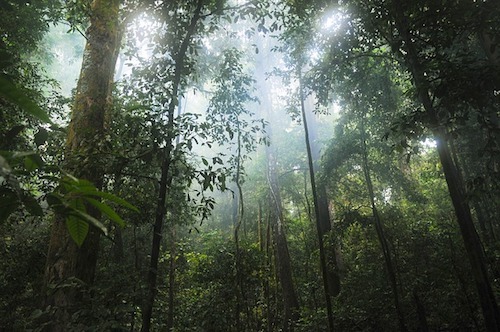 However, modern medicine has only analyzed around 1% of plants found in the rainforest for their medicinal properties. There could potentially be thousands of new antibiotics lying and waiting to be discovered, but deforestation could wipe them out before they’re ever discovered. 10. The soil is surprisingly low in nutrients and not suited to growing crops. Despite the incredible ecosystem that exists within the rainforest, consisting of many species of plants, the soil that makes up the ground is poorly suited to farming and not as rich in nutrients as you might expect. The quality of the soil is so low that it’s only arable for just a year or two of farming. This results in land that has been cleared and deforested, but that now has no purpose. We hope you’ve enjoyed reading these incredible Amazon rainforest facts and appreciate how much this piece of our planet has contributed to our modern way of living, as well as the problems that it faces in the future. We’ve got lots more articles like this coming at Know More Stuff over the next few weeks and months, so make sure to follow us on Facebook to stay notified. There’s a quick link on the right. Why not check out our facts about caviar or discover what happened to the Aral Sea next?